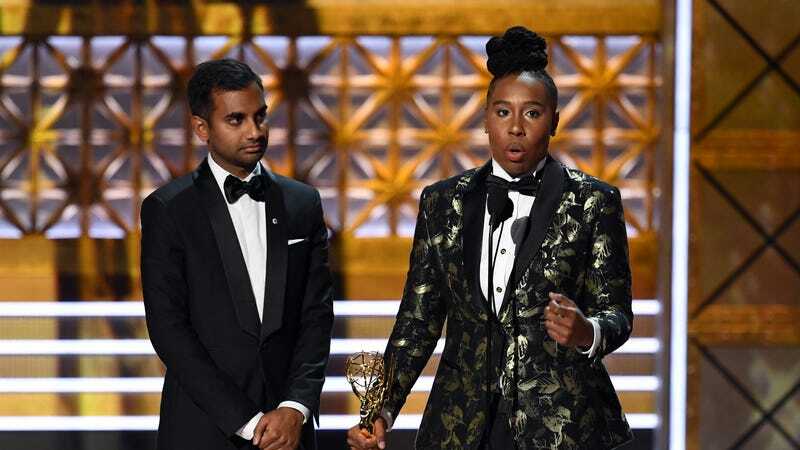 While the people behind the Emmys would probably tell you that every award is special, three awards at tonight’s ceremony have extra historical significance. Next, Riz Ahmed became the first man of Asian descent to win an acting Emmy after getting the award for Outstanding Acting In A Limited Series for his work on HBO’s The Night Of. In his speech, he highlighted the importance of the Innocence Project and the New York-based South Asian Youth Action organization. In other historic Emmy wins, Julia Louis-Dreyfus getting the Outstanding Lead Actress In A Comedy trophy broke the record for most Emmy wins for a single role (previous record-holders were Don Knotts and Candice Bergen), and The Handmaid’s Tale’s win for Outstanding Drama was the first time that award has ever gone to a streaming service.